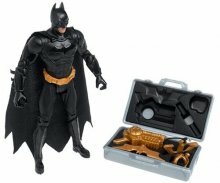 Batman Begins Battle Gear Batman action figure. 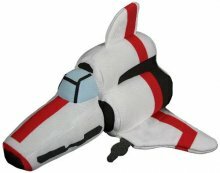 Chibi-style plush version of the Viper Mark II, made of all-new polyester fibers. Measures 7 Inch and includes details such as the Viper's signature red markings. 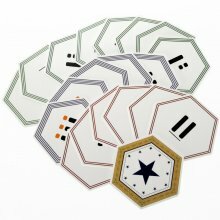 Featuring 52 card deck with 2 classic cylon-Joker card. Classic playing card paper stock weight. Instructions included. In the war between the survivors of the Twelve Colonies and the cybernetic Cylons, it's always good to have fighter craft on hand, just in case a skirmish or a full-on battle breaks out. If our Cylon Raider Artisan Replica is a stretch for your budget, we have cuddly versions that even the most fearsome warrior will want to hug. Our fleet is at your disposal: chibi-style plush replicas of the agile Colonial Viper and the stealthy Cylon Raider that are ready for action at work or at home. These very cool plush replicas are made of all-new polyester fibers and are surface washable. 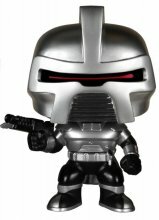 Battlestar Galactica Classic Cylon Centurion Figure. Stands 3 3/4 inches tall. Premium ringspun cotton, double-needle cuffs, pouch pocket. 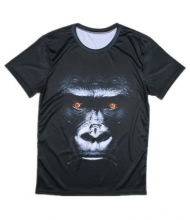 75% Cotton, 25% Polyester. 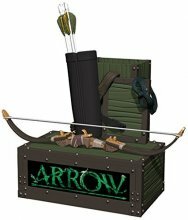 This handy desk accessory showcases Oliver Queen's armory while storing your pens, pencils, paper clips, and more with two spacious chests! Made of high-quality resin and measuring approximately 6" tall and 6" wide, the Arrow TV Pen and Paper Clip holder makes an excellent functional addition to any fan's desk or collection! Black gloves and oversize hoodie. 100% polyester. 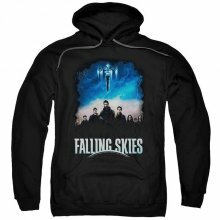 Sleepy Hollow Tank Top from season 2. Other colors are available. 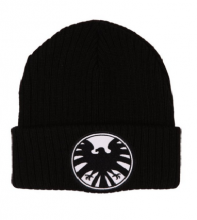 Soft, comfy knit beanie with an embroidered logo design. 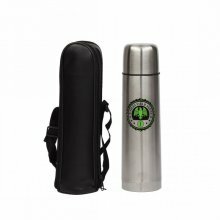 100% stainless steel travel mug. Easy to clean, it has a large handle that is easy to hold. Capacity: 14 OZ, dimensions: 3.45" x 6"x 3.45" inches. Handmade acrylic S.H.I.E.L.D logo necklace. Chain size is large 24" ball chains. Pendant is plastic, sized 1.18" (30mm) - thickness 0.23" - light weight. The wallet comes complete with two plastic full-color, two-sided identification cards. 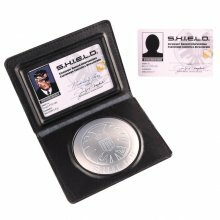 One is Nick Fury’s, Level One Public Director’s card, while the other is a blank Level One identification card, which you can add your own photo and become an official agent of S.H.I.E.L.D. The wallet comes shipped in a black box, silver stamped with the agency logo. 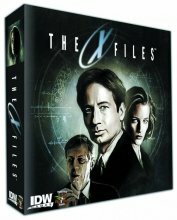 X-Files: The Board Game is a tense cooperative board game where 1-4 players will take on the roles of FBI agents trying to uncover the truth of the conspiracy covered up by The Syndicate. 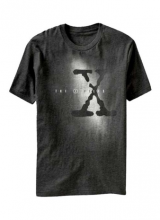 One player will take up the role of the cigarette smoking man trying to hide the truth from the Mulder, Scully, Skinner and the double-agent Krycek. Players will take on both creatures of the week and work together to solve the X-Files so that they can take down the syndicate and expose the true nature of their plans. A set with Scully and Mulder from X-Files! 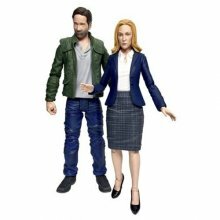 Each 7-inch action figure features up to 16 points of articulation, and comes packaged with character-specific weapons and accessories, as well as diorama parts, including an office floor and wall for Mulder and a desk and chair for Scully. Each figure comes packaged in display-ready packaging, with side-panel artwork for easy shelf reference. 16 oz. One-Touch Stopper. 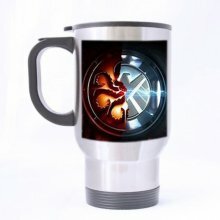 Keeps liquids hot or cold. The Flash Costume from Justice League features a red over-the-head headpiece with attached foam lightening bolts and red jumpsuit with yellow accents, The Flash insignia and attached yellow boot tops.